Follow our progress in real-time through the Nunn Lab public Evernote lab book. The Arctic system is comprised of glacial, periglacial, and marine environments, wherein the Greenland Ice Sheet (GrIS) is the primary freshwater reservoir. GrIS melting is increasing, thereby delivering large amounts of freshwater to the Arctic Ocean (Hanna et al. 2008). Changes in freshwater input from GrIS will have substantial impacts on marine ecosystems and global biogeochemical cycling (Bathia et al. 2013). 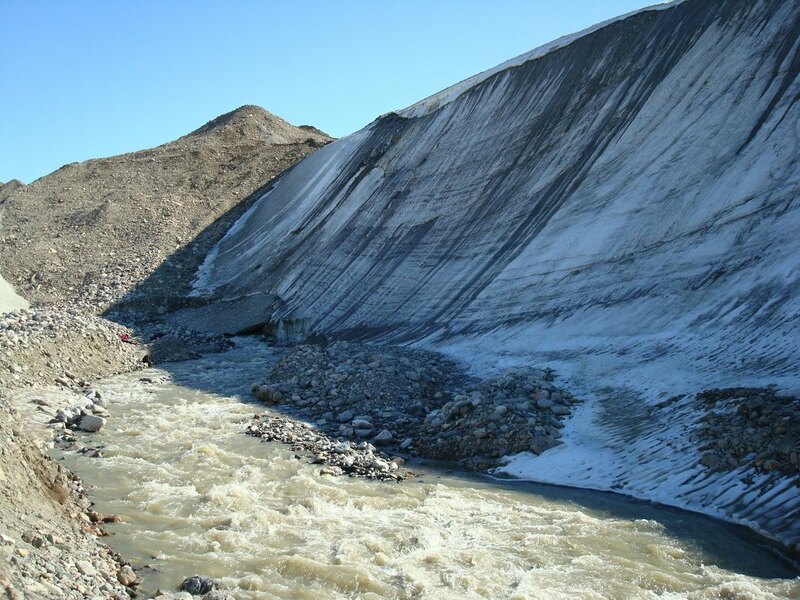 Meltwater characteristics, such as iron, sulfate and carbon content, are not well- known and depend on the extent and activity of weathering reactions beneath the ice sheet. Microbes in these critical subglacial environments are important contributors of chemical weathering processes (Montross et al., 2013; Dieser et al., 2014), yet, to date, direct molecular evidence of such processes remains to be obtained from GrIS subglacial environments. Here, we propose to 1) optimize protein extraction methods to isolate microbial enzymes from low-biomass, fine-grain sediments obtained previously from GrIS subglacial meltwaters and to 2) identify microbial enzymes active in GrIS’ subglacial meltwaters using state-of-the-art proteomics techniques (Nunn et al. 2015). To date, no metaproteomics studies have been performed on any glacial or subglacial environments. We are ideally suited for the project as the team has access to preserved samples from the GrIS meltwaters and the personnel involved are leaders in the field of polar microbes and environmental metaproteomics (including in sediments).